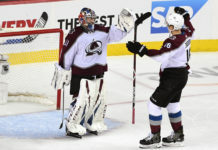 It is without question Reto Berra had a solid weekend in goal for the Avalanche, but it is not time for a goalie controversy or even the thought of one. Sure, a shutout looks great for any goaltender, but the defensive support in front of a goalie is equally as important in stopping an opponent from scoring. There are also a few fundamental issues within Berra’s game that solidify his role as a backup and nothing more. 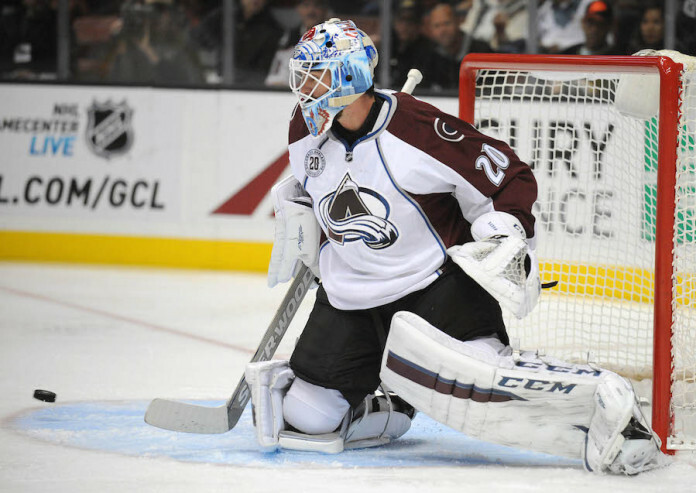 Before the Anaheim game, where Berra got his first start and win of the season, the Avalanche suffered a 6-2 loss to the Boston Bruins. 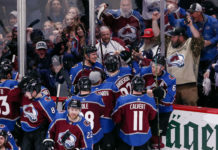 This was a game where one of the main issues for the Avalanche was their backchecking, or ability to get back on defense after an offensive possession. It was such an issue, that in his abnormally angry postgame press conference, head coach Patrick Roy first pointed out the backchecking as a reason for losing. Of course, in their preparations for the game against the Ducks this past Saturday, the backchecking was going to be a focus for Colorado. Not only was it a focus, but it was a big reason the Avs won the game. Often having four guys on the defensive side of the puck during the Anaheim rushes, the Avalanche backcheck was impressive. Once the Ducks had entered the zone the Avs’ defensive support was sound and much improved from the game prior. Yes, Reto Berra played a solid game, but this defensive mindset is deserving of the credit more than the goaltending. This same effort and attention to defensive support and backchecking was present in the game against the L.A. Kings, but that alone is not enough to get a win. The first goal allowed can be pinpointed to a fundamental flaw in Berra’s game. As Marion Gaborik was preparing to shoot, Berra was square to Gaborik’s body instead of the puck, which Gaborik had on his forehand to his left. This opened up the area of the net to Berra’s right, an easy target for a goal-scorer like Marion Gaborik (see below). The game-winning goal for L.A., meanwhile, was due to a turnover by Erik Johnson that resulted in a breakaway for Tyler Toffoli. It is difficult to fault Berra for the goal, especially when the offensive player is coming in with such speed. However, Berra would have had a better chance at saving it with a more aggressive attempt at cutting down the angle and an improved leg strength, allowing him to slide to the post and remain in proper position to stop the shot. There are other fundamental flaws within Reto Berra’s game that were not exposed this past weekend and, therefore, do not need to be given any focus. Nor should any focus land on the poor numbers in Semyon Varlamov’s stat line, which can be deceiving in relaying a goalie’s performance. 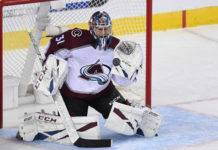 The focus should lie in the fact that Reto Berra has proved that his strong finish to last season was not an anomaly, and that he has renewed the confidence the team has in him as a reliable backup goalie.